cPanel is a web based hosting control panel provided by many hosting providers to website owners allowing them to manage their websites from a web based interface. This program gives users a graphical interface from which they can control their portion of the Unix server. The tools provided are designed to simplify running and controlling a website. It uses a tiered structure that allows different levels of access. Administrators and end users can control the different aspects of the server and the website directly through their browser. cPanel is generally accessed using https on port 2083 or simply by adding “/cpanel” to the end of the host name. Depending on the hosting provider the cPanel will generally have some sort of auto installer or package dedicated to content management systems like WordPress.With WordPress installed, a user can us cPanel to manage the features offered by their WordPress hosting plan. Some of these popular features are the ability to manage databases, domain names, mail accounts, and back ups. Software like cpanel, makes it extremely easy for users to manage their hosting with little or no technical knowledge of web hosting on their own without breaking anything. Edit and back up files and folders while monitoring your websites disk space usage. Know your audience and track your websites performance using Webalizer and AWStats. Softaculous is probably the best 3rd party auto installer add-on which can be purchased and added to cPanel. 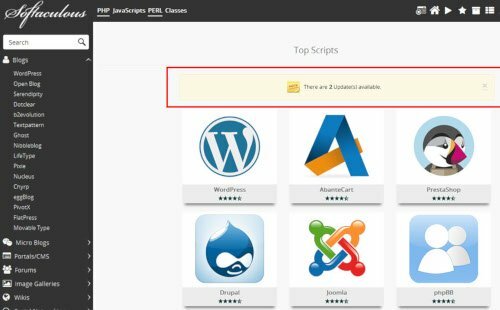 Softaculous offers more than 400 applications/scripts and it allows you to install them really fast. Currently, it can install a large number of applications and scripts ranging from bulletin boards to content management systems and even Java Script libraries. 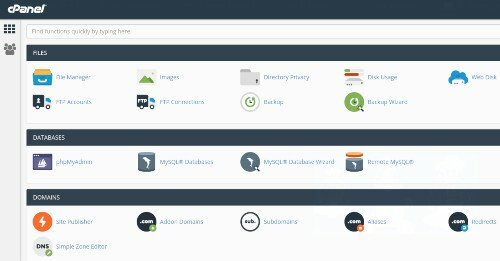 Softaculous comes FREE with each DreamServer hosting account. All CloudLinux innovations, such as CageFS, aim to improve security and stability on servers. So where other operating systems will allow entire servers full of customers to go down, CloudLinux stays stable by isolating the impact to the offending tenant. Deploying CloudLinux ensures that you are optimizing the use of each server. 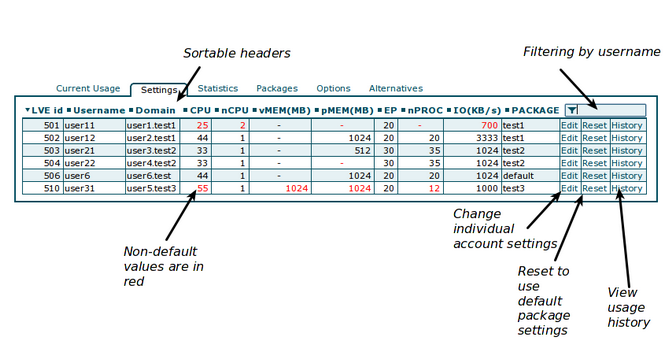 Due to limits set for CPU, IO, and Memory, you could get the most of every server and safely add more customers. CloudLinux helps you to improve server density and to decrease churn, improving profit per physical server. It also creates new upsell opportunities by setting limits on per-package bases. Better server stability means fewer support calls and less time spent tracking down problem tenants. CloudLinux brings down your cost to support a shared hosting environment, allowing you to offer superior service with greater profitability. CageFS is a virtualized per-user file system that uniquely encapsulates each customer, preventing users from seeing one another and viewing sensitive information about the server. CageFS prevents a large number of attacks, including most privilege-escalation and information-disclosure attacks. The best part is that CageFS is completely transparent to customers and does not require them to change their scripts. - Only safe binaries are available to users. - Users do not see other users and have no way to detect the presence of other users or their user names on the server. - Users cannot see server configuration files such as Apache config files. - Users have a limited view of their own processing file system and cannot see other users’ processes. At the same time, a user’s environment is fully functional, and he or she should not feel restricted in any way. No adjustments to user scripts are necessary. Today, a single site can consume all CPU, memory, and IO resources—and bring the server to a halt. LVE (lightweight virtual environment) technology prevents that by allowing admin to set up individual resource limits. This ensures that a tenant can never use more resources than he or she is given. LVE is a kernel-level technology developed by the CloudLinux team. It integrates at the server, PAM (pluggable authentication moduels), and database levels to prevent any kind of abuse while maintaining the lowest overhead possible. The technology has roots in common with container-based virtualization. The goal of LVE is to ensure that no single Web site can bring down your server. LVE allows the host to maintain fine-tuned control over resources—including CPU, IO, memory, inodes, number of processes, and connections that any single account can use. It is lightweight and transparent. Memory limits control the amount of memory each customer can use. CloudLinux is able to identify, in real time, the amount of memory actually used by an end customer’s processes. Physical memory limits are especially effective in preventing out of memory (OOM) issues and customers’ ballooning memory usage, which destroy caches and cause server overload. Number-of-processes limits control the total number of processes within LVE. Once the limit is reached, no new process can be created until another one finished. This effectively prevents fork bombs and similar DoS attacks. An inode is a data structure on a file system that is used to keep information about a file or a folder. The number of inodes indicates the number of files and folders an account has. Inodes limit work on the level of disk quota. The PHP Selector is a part of CloudLinux that allows end users to select the specific version of PHP they need. It allows ultimate flexibility by offering all popular versions of PHP, with more than 120 PHP extensions to choose from. CloudLinux packages PHP versions 4.4, 5.1, 5.2, 5.3, 5.4, 5.5, and 5.6. 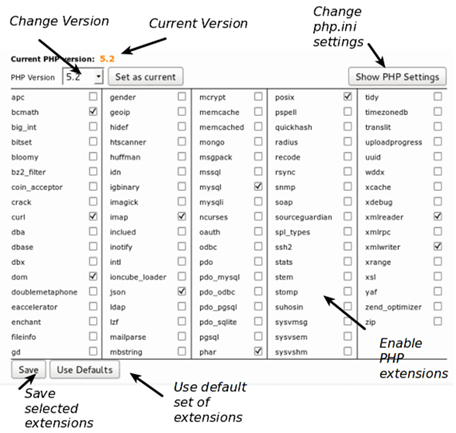 The convenient UI lets a customer switch between versions, select the extensions, and adjust PHP settings. No longer do you have to move customers to other servers or force them to switch to VPS (or another hosting company) just to get that old PHP 5.2 that their scripts require. CloudLinux includes a large number of extensions and gives control to the end user. Only users who need non-default version of PHP will be using PHP selector. Everyone else will use the default PHP version installed on the server, so there is no extra work associated with the PHP selector. The Ruby Selector allows end users to choose the Ruby version for application and to install additional modules (gems) to the application environment. Ruby Selector uses mod_passenger for optimum performance. Python Selector allows end users to choose the Python version as an application and to install additional modules. Python Selector uses mod_passenger to get the best performance from Python applications. MySQL often becomes a major headache for shared hosting companies. Keeping MySQL stable might be difficult, and customer queries can easily slow everything down. This is where MySQL Governor comes in. Its ability to pinpoint abusers and throttle them in real time is unprecedented in the industry. With support from the latest versions of MySQL and MariaDB, it is a must-have for any shared host. MySQL Governor tracks CPU and disk IO usage for every user in real time and throttles MySQL queries by using same-per-user LVE limits. By using the dbtop utility, it is possible to see usage as it happens on a per-customer basis, ensuring that system admins always know what is going on. As a result, hosting companies can carefully throttle resources to maintain performance across servers without instantly disconnecting users. With OptimumCache, you can expect increased server performance, density, and reduced server load by 20-30%! Today, a typical shared hosting server encompasses multiple Web sites that are using WordPress, Joomla, Magento, and other popular software. This software is composed of exactly the same files, yet the files have to be separately loaded for each Web site, wasting both server IO and memory. OptimumCache solves these problems by creating a cache of duplicate files on disk; All duplicates get loaded from a singular copy of the file, creating only one instance in memory cache. System bypasses disk IO for duplicates, significantly improving speed of reading duplicate files, decreases memory footprint, increasing cache usage, all while lowering load on the hard disk. Expect increased server performance, density, and reduced server load by 20-30%! Best results shown for hosting servers running large number of similar Web applications, such as WordPress, Joomla, Magento etc. Mod_lsapi is the fastest and most reliable way to serve PHP pages. It is a drop-in replacement for SuPHP, FCGID, RUID2, and ITK. It has a low memory footprint and understands PHP directives from .htaccess files.